John Sinclair is a 30 year property veteran with a vast academic and practical background in property. As well as holding two university degrees in property economics and development, John is a Licenced Real Estate Agent and a qualified valuer. John like Jamie has gained a wealth of property knowledge over the past 30 years. Initially through builders, developers and agents associated with new home construction and residential land development. Initially located in Newcastle, NSW this culminated in the role of general manager for a local new home builder handing over a 100 new homes per annum including additional commercial construction contracts. John first attended The University of Western Sydney, completing a condensed real estate course and later to complete undergraduate study in Property Economics and postgraduate study in Property Development. After which John registered as a valuer initially undertaking valuation projects associated with residential development across greater Sydney. Later as a team member and subcontractor to a specialised boutique agency, special property valuations were undertaken. These included service stations, childcare centres, funeral homes, churches, carwashes, boarding houses, englobo land development proposals, compulsory acquired land proposals as well as commercial and industrial properties associated with "going concern" businesses. 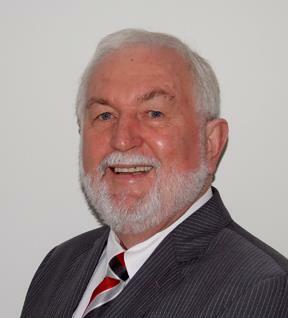 While practicing as a valuer in Sydney John also taught valuation related subjects at Sydney Institute of TAFE and the University Of Technology Sydney (UTS) before moving north to the Gold Coast. John is a dedicated passionate person who really does care about assisting people investigate their potential home or investment property. He is thorough, honest and a respected member of the team.